Is there a more happy color than yellow? Try to convince me. I can’t say it’s a color I wear a lot, but I LOVE how bright and warm it is. It’s an instant mood-elevating color, don’t you think? And it always reminds me of summer. 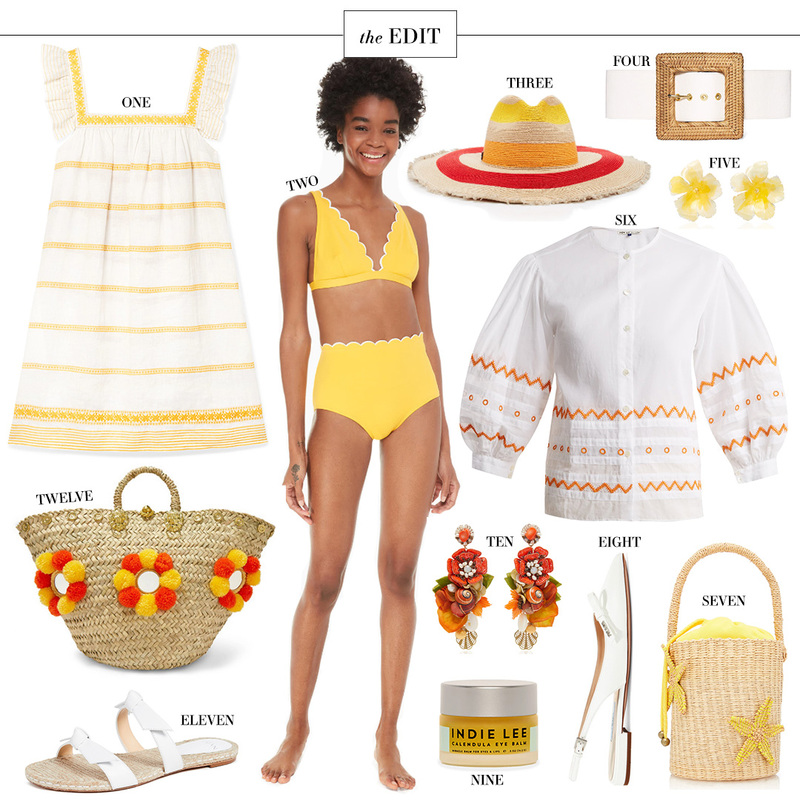 So what better color to inspire you and your wardrobe for the coming warmer months than a happy yellow-filled collage?! This post screams summer vibes! I’m loving everything! That Tory Burch dress is so cute!